Check out how to use the Super Incubator in Pokemon GO! Learn its effects, how to use, where to get, and more in this guide! 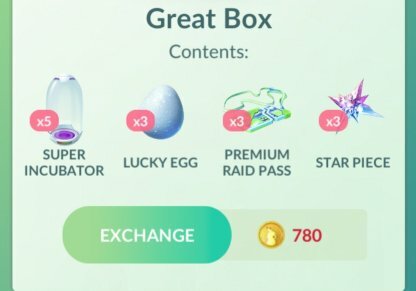 Should You Buy The Super Incubator? A more powerful Egg Incubator that helps Eggs hatch quickly. Breaks after three uses. 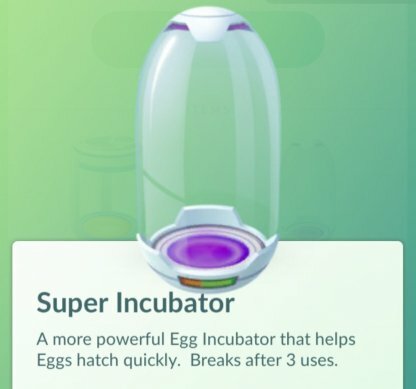 When putting an egg in the Super Incubator, it will shorten the required distance you need to travel in order for the egg to hatch. Below is a table that you can use to see how much distance per egg you need to travel. Super Incubators are sold from the shop at 200 Pokecoins apiece. 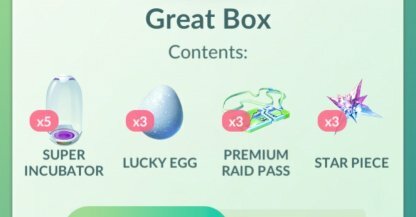 However, there are some boxes that give you lots of incubators for a discounted price, so it is better to buy the box instead. Since Super Incubators help you hatch your eggs faster, you can easily get strong Pokemon, more candies, and Stardust for around half the distance. If you are trying to get lots of items and Pokemon, it is recommended to buy it! Since the IVs of Pokemon from Eggs will not change when put into the Super Incubator, it is ok for non-payers to not buy Super Incubators from the shop. Super Incubators do not guarantee stronger Pokemon, but only hatch them faster.